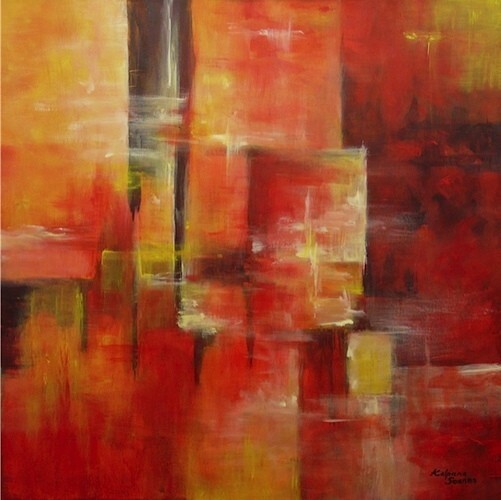 Description: An original artwork by Kalpana Soanes. Earthy Patches, a beautiful abstract exuding warmth. The painting continues over the sides of the deep edge canvas so there is no need for a frame. The artwork is ready to hang.